The Nagaland Heritage Studies (NHS) which was conceptualized to replace Alternative English in the schools is a joint venture between the SCERT and the Text Book Branch of the Directorate of School Education. 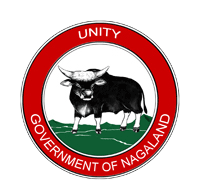 The Nagaland Heritage Studies (NHS) would form the basis for the contents of all MIL textbooks in the State and will teach the Naga Languages using local culture and heritage as its content base. The NHS is a subject area with properly structured curriculum adhering to the guidelines of the National Curriculum Framework, 2005 and will ensure that all Naga language textbooks have uniform curriculum and syllabi to check parity amongst the languages. So far, 109 textbooks have been developed in this area covering 18 languages. These textbooks are for class 1 to 5 and will be used from the academic session 2018 in all Government and Private schools. Preliminary work for development of NHS textbooks for classes 6 – 8 has started. The text books for the Nagaland Heritage Studies has been officially launched by the Hon’ble Governor of Nagaland Shri P.B Acharya on 6th February 2018.